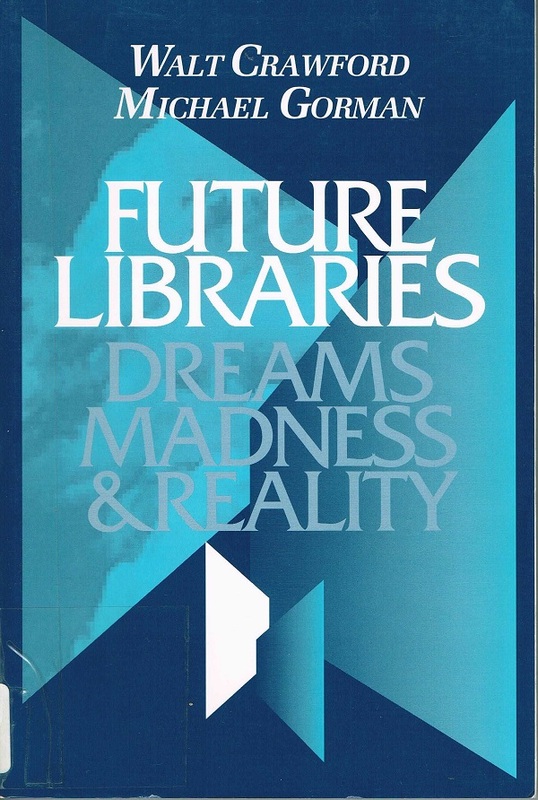 What does the future hold in libraries? Well, pretty much what the authors suggested. This book was written in 1995, so we are now their future. (Woah! That was deep!) 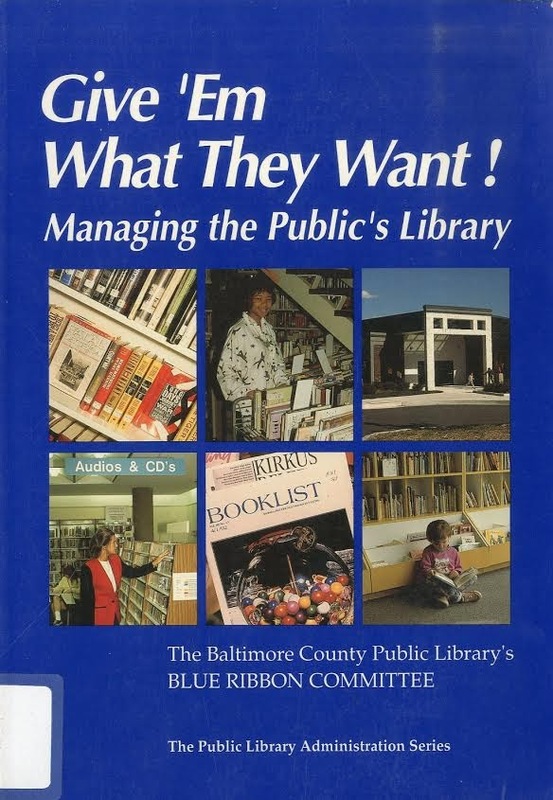 Libraries still have staff, walls, and collections. Sure, sure, sure…there are libraries without books, but they’re not the norm. 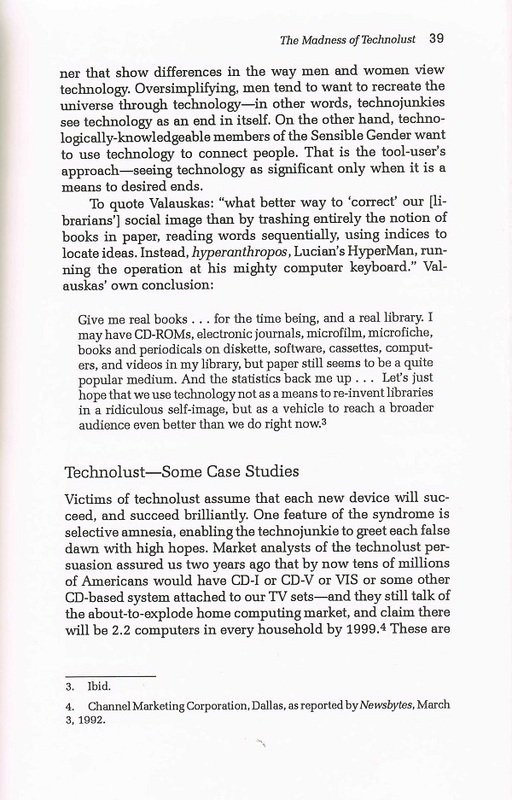 Back in 1995, the authors spoke out against virtual libraries. It’s not that they didn’t like technology or didn’t see technology as part of the future of libraries. 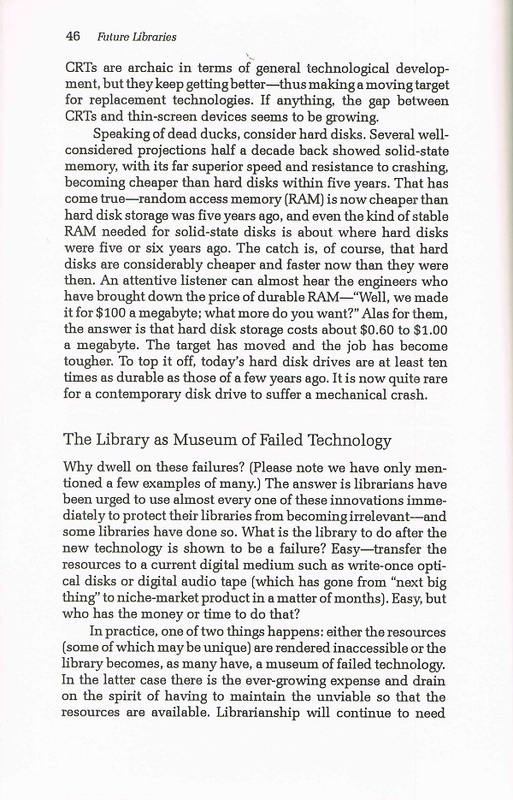 It’s that they did not believe that technology would – or should – replace physical libraries. People need the “complementing values” that print, buildings, and librarians-in-the-flesh provide. I really like the thesis of this book, and they were really onto something. 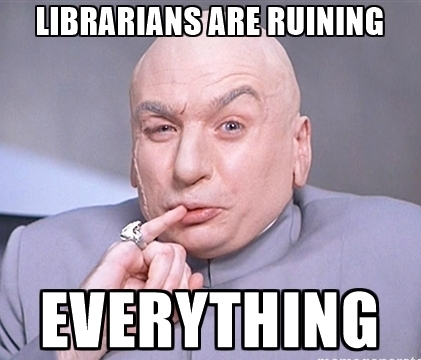 What’s hot in libraries these days? Community spaces, technology training opportunities, and librarians as trainers and facilitators of information in all of its formats. Why, then is this an awful library book? Because it’s no longer the future! It’s the present! It needs to be revised and updated to be relevant again. 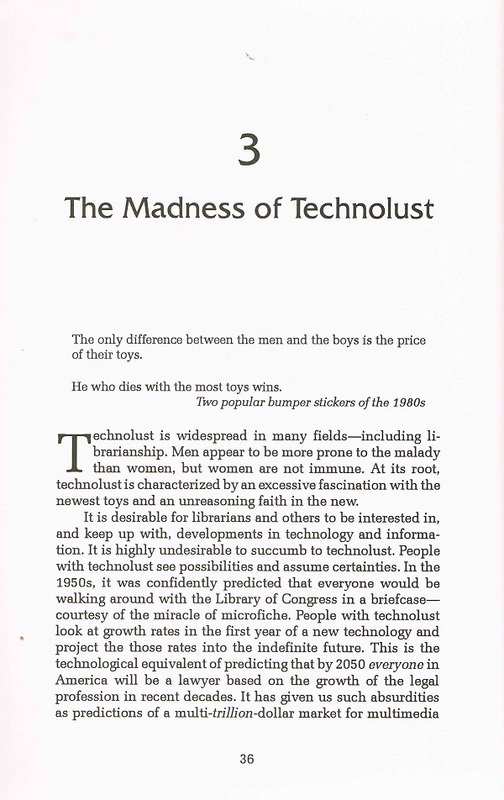 There are some old-fashioned ideas, like “Men appear to be more prone to [technolust] than women” (pg 36) and examples of CD-ROMs, microfiche, diskettes, and cassettes (pg 39). They even discuss at what point LCD will really exceed CRT. (Answer: When a 15-inch 800-by-600 LCD able to display at least 64,000 simultaneous colors costs less than $500.) These were reasonable examples in 1995, but must be updated to be relevant today. So, weed away! 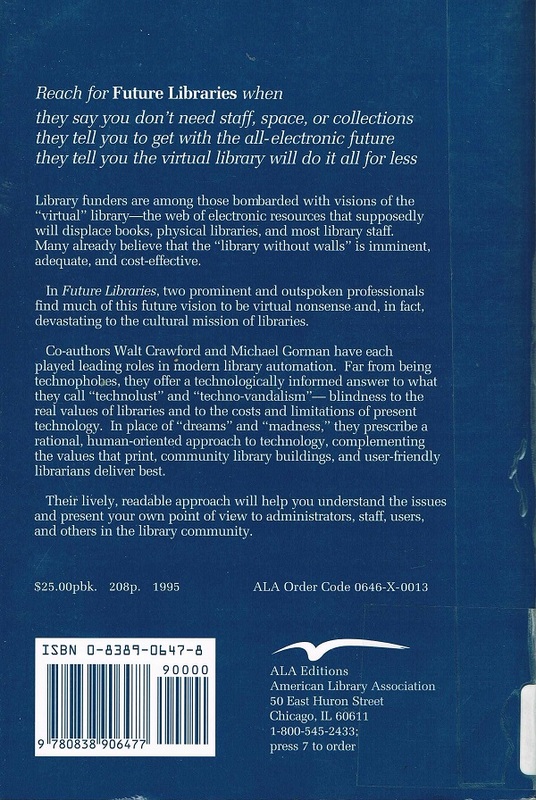 Mr. Gorman is a past ALA president, and both he and Mr. Crawford are still active in librarianship. Publish an update, please! 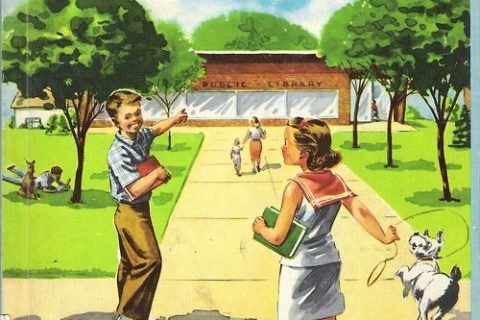 I grew up loving a trip to the library, and I worried that my kids wouldn’t feel the same. Our local library does an amazing job creating spaces and events that draw my kids to the library (one of my favorites is the chick hatching each spring). They offer a limited number of free tickets each day to the community to various museums and attractions, host a variety of groups and events (including a teen zombie dance party on valentines day), and have a wonderful electronic collection. So thankful for the librarians that are willing to embrace the future. The chances of that happening are very nearly nil, for several reasons (including the unlikely situation of the two coauthors). 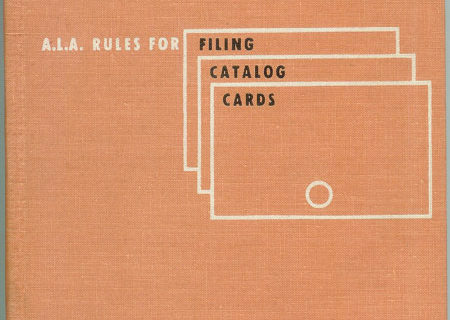 A second edition was discussed at one point, but never followed up on. I’ve done a sort of partial update, the self-published Balanced Libraries. Fact is, I’m certainly not sufficiently involved in how libraries actually operate to do an update without pulling most of the ideas out of my…well, let’s just say it’s not going to happen. I can’t/won’t speak for Gorman, but I believe midcareer (or even younger) librarians who are in the heart of the business are better candidates for this sort of thing. I believe the book deserves to be kept for its historical value. 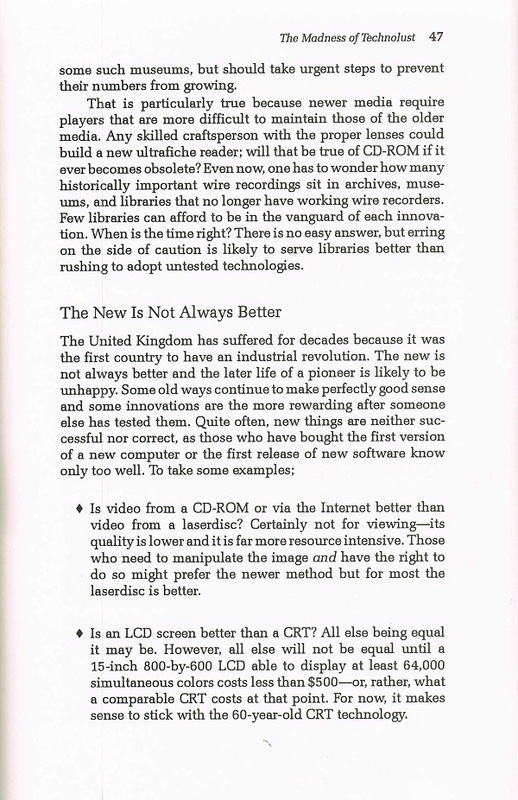 For librarians who can’t understand that examples in a 1995 imprint may not be as futuristic in 2014, there’s not a lot to be done. Mmm, yes. Technolust. I know exactly what they mean. What a great book. I also agree with the main idea. 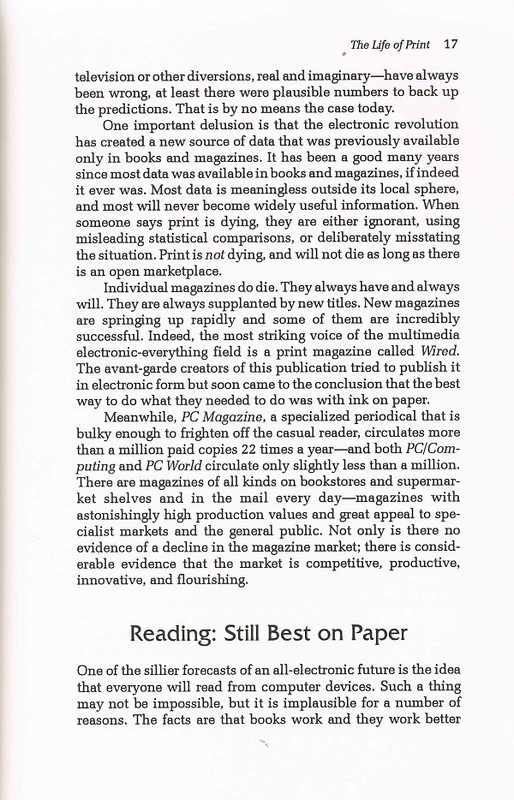 I’m in college, and I find it comforting how many of my peers still prefer print formats for leisure reading and studying. I was afraid I’d be one of the last. That may change with the next wave of technology and the next generation, but millenials still seem to remember or at least understand the benefits of traditional libraries/books. Definitely needs an updated version. I have this book on my very own shelves and well remember reading it in library school! I’d like to see page 18. 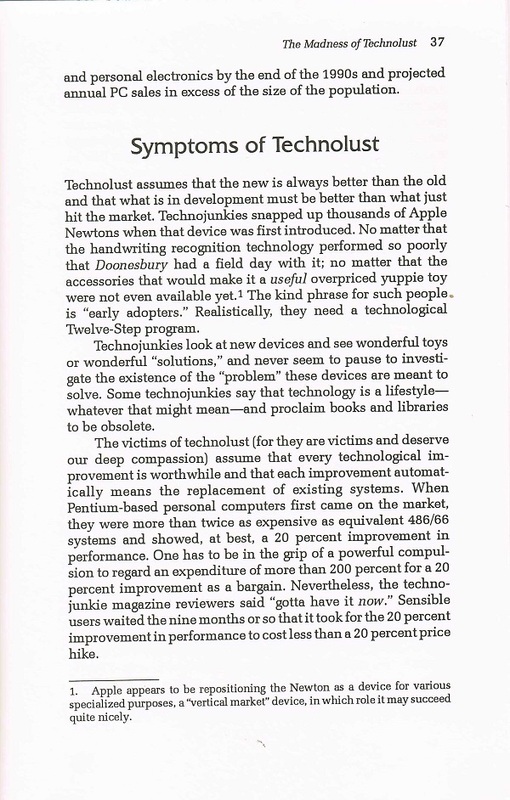 I find the whole “reading on paper” arguments sort of annoying; there was a lot of false starts, but the Kindle and to some extent the other ereaders really made reading best on ereaders. There are books the Kindle won’t read, books better read in large or colored paper, but for me the books I want to read in hardcopy are math and computer books the municipal libraries simply don’t carry. I’d love to know where you found your numbers. The government numbers I found say 0.54 computers per household in 2000, which is in fact a long way from 2.2 in 1999 (esp. since growth was still rapid in 1999-2000). That same source does say 1.25 computers in each household where there’s at least one computer, still a long way off: only 51% of households had any computers in 2000 (a different Census Bureau report). I guess I was one of the odd ones out. At that time my dad’s hobby was building computers, and I graduated from high school in 1999, which my first computer was one that he built and had it throughout my senior year, maybe even part of my junior year. For its time had a large hard drive of under 10 gigabytes (somewhere around 3-8, I forget now exactly how much), when at the time, most hard drives were still talked about in megabytes, or around a gig for the larger sized ones. My dad had a computer, and there might have been one more in the house. Back then it was way, way cheaper to try to build them yourself, than to buy one from a store. I think the computer that my dad made for me was $300-600, where as if he had bought it would have been a lot more, maybe in the thousand to 2 thousand range. Also, when I was in 8th grade (1994-1995, and I was living with my mom and step-dad then) as a family Christmas present we had gotten our first computer, and I was one of the few 8th graders in my town that actually had a computer in the home. It was a brand new Windows 3.1. and was around $2,000, or maybe more then. I was also one of the odd ones, for that matter: I had a home computer at least by 1982 (a Morrow MD2, CP/M, no hard disk at all–that’s what I used to write MARC for Library Use). But I wasn’t typical then. Yes, my dad was an electrical engineer who transitioned to computer programming in the 1970s. We had several computers around the house (usually in parts as he was soldering pieces for them) by the early 80’s. We had an early Apple as well as an early portable PC (it was a large rectangle that had a keyboard that would flip down from one end and a tiny screen on that end). He was teaching me to program by the time I was 10 (so 1985 time frame) and gave me my own computer about that same time (a Commodore 128/64). I found it weird that some people didn’t have a home computer when I was in high school–I just assumed people did. http://www.generatorresearch.com/tekcarta/databank/personal-computers-per-household/ which seems to be citing total number of computers divided by the number of households. I found the second number on a search, but without knowing the computer / household ratio, that doesn’t say much, and sitting in a household with four computers, I’m probably prone to overestimate that. I will admit that your numbers seem more accurate then mine.